Substances in foods, house dust and pollen can cause anything from sniffles to migraine and even sudden death. Allergies are becoming increasingly common, but they are still not fully understood. A 27year old lady suffered from what she assumed was cold sores. Occasionally, her lips and tongue tingled when she was eating and moments later would actually swell, becoming painful and tender to the touch. One summer, the problem became very severe, and her doctor asked her about her diet. It emerged that her father had grown a bumper tomato crop and that she was eating several of them with almost every meal. By following the doctor's advice to cut tomatoes from her diet, she has now successfully cured herself. 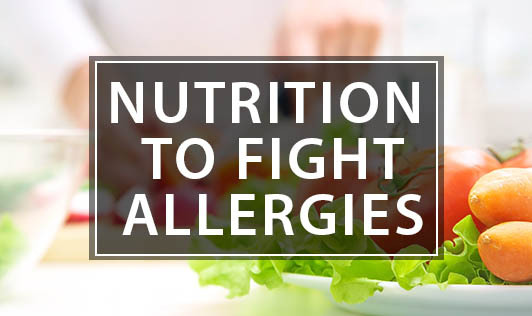 Your first step to allergy relief should be to reduce your total allergen load through environmental control and allergen avoidance, but you cannot ignore the importance of good nutrition in your battle against allergies. Prescription and over-the-counter drugs simply suppress allergy symptoms, whereas proper nutrition (along with proper exercise and rest) will strengthen your immune system and help you avoid allergy attacks. 40,000 children born each year have a nut allergy.